BeBoldLancaster was created by United Way of Lancaster County to give donors an opportunity to invest in their work and their Community Impact Partnerships’ work. Together, United Way and these Partnerships are working to make bold change happen in the areas of kindergarten readiness, workforce development, poverty, and access to medical care—United Way’s four bold goals. The Partnerships have identified Projects that will help them make a greater impact on the people they serve. That’s where YOU come in! In little time at all, you can personalize a fundraising Campaign and share it with the people in your life to help these Partnerships in a greater way. OR you can donate to any of the worthwhile Partnerships or Projects listed. OR you can help all of the Partnerships by donating directly to United Way! A Partnership is one of 17 Community Impact Partnerships brought together by United Way to better serve individuals and families throughout Lancaster County. All committed to making bold change happen by 2025, these Partnerships have harnessed the combined power of more than 100 nonprofit agencies, schools, libraries, faith-based groups, businesses, and government. Through their integrated work, Community Impact Partnerships are maximizing their collective impact and breaking down barriers for unprecedented success. United in common goals, United Way and their Community Impact Partnerships create lasting change and achieve results that no one single sector has ever been able to accomplish alone. A Project is a special initiative that a Community Impact Partnership is asking the community to support. It can be as simple as helping to purchase a van to transport people to their doctors’ appointments. Or it could be as complex as wanting to cover the county in pinwheels to raise awareness for early education and workforce development. The Fundraiser is the person, team, or organization to raise funds for a Project. This person or group might be a volunteer at the Partnership, a Board member, a client, or anyone who believes in the Partnership’s work. Fundraisers can be set up for birthdays, anniversaries, retirements, races, events, etc. A Campaign is created by a Fundraiser to raise money for a Project, Community Impact Partnership, or United Way. The Goal is the amount a Fundraiser is asking his/her friends and family to help raise. If no fundraising goal is set, the image will display ‘Sky’s the limit!’ Money will be accepted after goals are reached. A Bold Goal is United Way of Lancaster County’s response to research from our community. The four bold goals below focus on achieving what Lancaster County residents said were the most important. A professionally researched Needs Assessment showed that education, financial stability, and health are the largest categories of concern that county residents have about themselves and their community. Every Lancaster County child will enter kindergarten ready to learn. All Lancaster County adults will have the post-secondary credentials they need to get a good job. We will cut Lancaster County’s poverty rate in half. Everyone in Lancaster County will have access to a doctor, a dentist, and a mental health professional. Only 10% of 3-4 year olds are enrolled in publicly funded Pre-K.
One in 10 students do not graduate from high school. Only one quarter of Lancaster adults have a bachelor’s degree or higher. One in 10 do not have health insurance. One in 10 skipped medical treatment because of cost. More than one in 10 live in poverty. Donors are people who give to support United Way, a Bold Goal, a Partnership, a Project, or a Fundraiser’s Campaign. How ever they give, donors are the lifeblood of BeBoldLancaster, and we appreciate them making an impact in Lancaster County! Projects on BeBoldLancaster come straight from the Partnerships. They are needs identified by all of their Partners to help the populations in which they serve. It will be the Partnership’s responsibility to complete their Project. 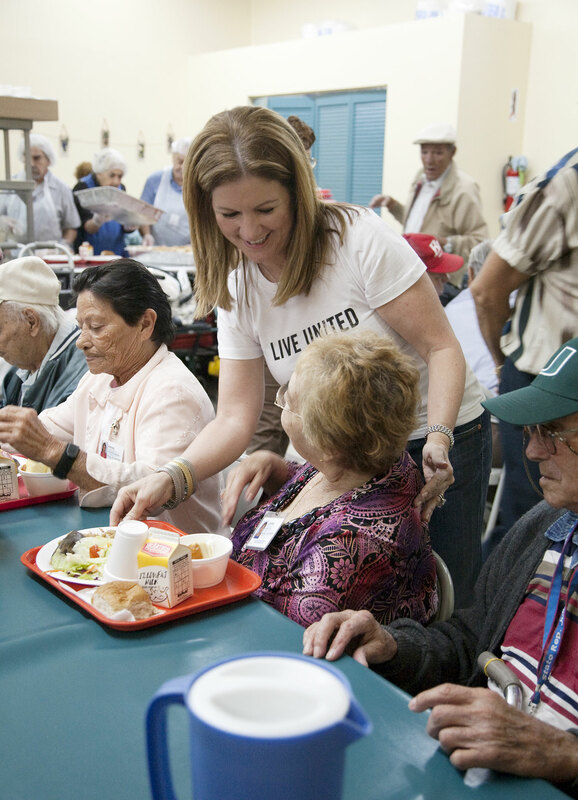 United Way is involved, in the development of the Projects themselves. What happens if a Partnership doesn’t raise the full amount for their Project? United Way will work very hard with the Partnerships to make sure they raise the needed money. If for whatever reason the Partnership can’t achieve their goal and their Project can’t be completed, donors will be contacted and asked if they want to donate their funds straight to the Partnership or be refunded. How do I know if it’s safe to donate to someone? United Way has several safeguards in place to assure that your donations are going to high-quality, high-performing Partnerships and their programs. Should you ever have any questions about a Partnership or Project, please contact Communications@UWLanc.org. Is there a minimum donation accepted? Yes, there is a minimum donation of $25. May I give on a monthly basis? Yes. United Way of Lancaster County is a 501(c)(3) organization. Your contribution is tax-deductible to the extent allowed by law. No good or services were provided in exchange for your generous financial donation. Yes, you will receive a tax receipt via email for your online gift from United Way of Lancaster County. Your donation will be passed from United Way directly to the Community Impact Partnership you’re supporting. It’s easy! Simply fill out this form and United Way will create your personal, online Campaign. You will be notified via email so you can start sharing an invitation with your friends and family to support your Campaign. United Way will do their best to post all Fundraiser requests within three days. Money raised through BeBoldLancaster goes towards Projects requested by the Community Impact Partnerships, straight to the Partnership themselves, or to United Way. It’s up to you! When you raise money for something you believe in, people in your life are eager to support you. BeBoldLancaster allows you to customize your Campaign page with your name, a Campaign title, a photo, and your story of why you’re doing the Campaign. Once your fundraising page is online, share it on your personal social media sites and email it to your friends and family. May I edit my Campaign page after its online? Yes. If you would like to edit your Campaign page, please email Communications@UWLanc.org with the name of the Fundraiser and the requested changes. Do I have to set a fundraising goal? Yes. Crowdfunding sites like BeBoldLancaster work best with authenticity and transparency. May I keep my Campaign private? Unfortunately, no. All Campaigns are linked to the Projects or Partnerships they are supporting. Do my donors get charged anything additional? No, never. Other sites might charge your donors without you knowing it, but BeBoldLancaster never does that. Donors are charged only the amount they choose to donate to your Campaign. No problem. As all of the money is going to charity, the Project or Partnership keeps every donation received. Reaching your goal is not required. No. With BeBoldLancaster there are no deadlines or time limits. Your Campaign will remain live until you choose to remove the Campaign. Although it may seem tempting to leave your Campaign active for as long as possible, it’s actually best to set a timeframe so the people you are asking to support you are given a sense of urgency. Consider setting a two week timeframe and extending it another week or two if necessary. Also, if the Community Impact Partnership closes the Project, your Campaign will also close. If you wish to close your Campaign before that time for any reason, email Communications@UWLanc.org. Check your Campaign page often to see your donations and comments. Your Campaign will be supported by the people in your life. This includes friends, family members, loved ones, coworkers, classmates, and teammates. Only after your Campaign receives the support of the people you personally know can it begin to attract the support of others. What if I’m not comfortable sharing this with friends and family? The only way to raise money and hold an effective Campaign is to ask. You should not expect to receive support from strangers. Easy links to Facebook, Twitter, and your email are included on your Campaign page so it will be easy to share with your friends and family. Of course! The mobile version of your Campaign will load for those visiting your Campaign from their cellphones. Your Campaign will look great and give donors a quick way to donate from any mobile device. While it’s free to create and share your online Campaign, BeBoldLancaster will deduct a 5% technology and credit card fee from each donation that you receive. Since our fee is deducted automatically, you’ll never need to worry about being billed or owing us any money. Beware of other services that claim to be 100% free. Some actually charge your donors instead. Your BeBoldLancaster Campaign features the very best in secure payment encryption technology. Your donors’ online payments are safe. Will I have my donors’ mailing addresses? Unfortunately, no. United Way will only provide you with email addresses. How do I send thank you’s? You can contact United Way at Communications@UWLanc.org for a complete list of your donors’ names, their donations, their email addresses, and their comments any time. Didn’t find the answer you were looking for? Contact us by emailing Communications@UWLanc.org.